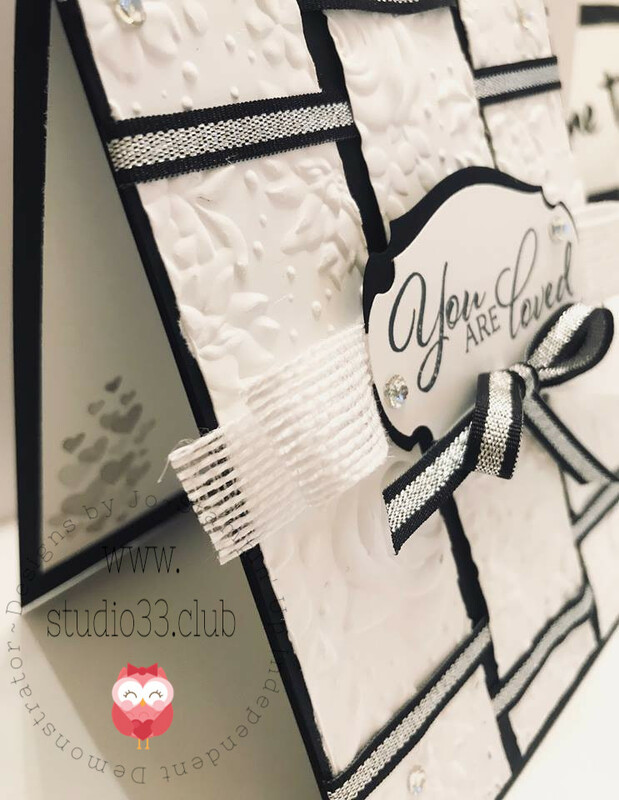 New Country Floral Dynamic Embossing Folder~You are Loved! How is everyone today? 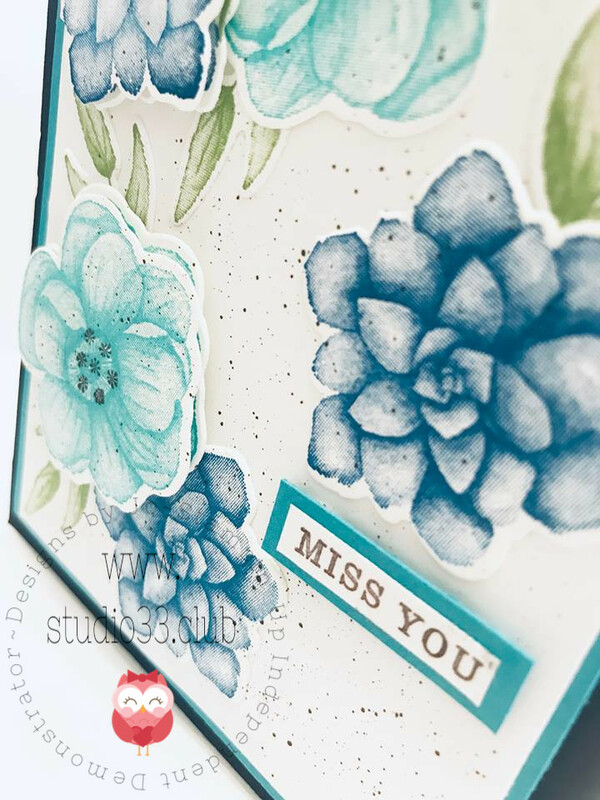 I hope by now the cold temps are moving along and you are starting to thaw out a bit ;) So today, I have a card that I created using the new Gorgeous Country Floral Dynamic Impressions Embossing Folder! Whew what a long name that is eh? lol This embossing folder is absolutey wonderful! There is just so much texture! 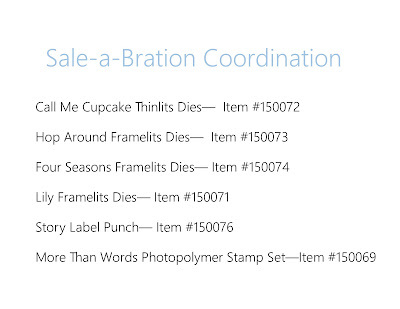 This is also a Level 1 Sale-a-Bration item in the second round of Sale-a-Bration products! You can get this for FREE with a $50 purchase! 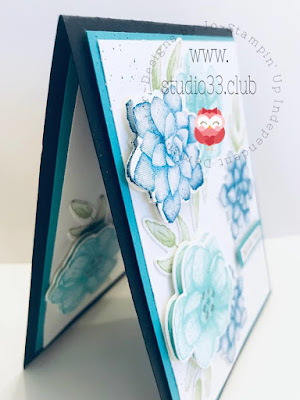 I embossed a layer of Whisper white and then I cut it up into three even pieces. I knew that I wanted to try something different. I took a small glue dot and placed it in the center of each panel and adhered it down to the Basic Black card base. I did this so that I was able to easily manuever the panels as I had this bright idea to do a little bit of weaving with ribbon. I know I'm crazy huh? BUT!...I LOVE how this turned out! So I took some of the Black/Silver 1/4 Striped Metallic Ribbon and started to weave it over and under the panels with only two layers on each end. I love how this created a gorgeous yet unique pattern. Once I had the ribbon how I wanted it, I used my liquid glue and adhered the panels down. 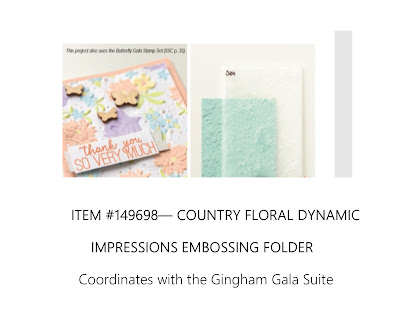 Here you can see the texture of that Country Floral Dynamic Impressions Embossing Folder much closer. Do you see how it's raised up with so much dimension? I love it! I took the new Story Label Punch and punched two out, one each in whisper white and basic black. This punch is new and is part of the new Sale-a-Bration Coordination products which will all be released and for sale on the 1st of March. 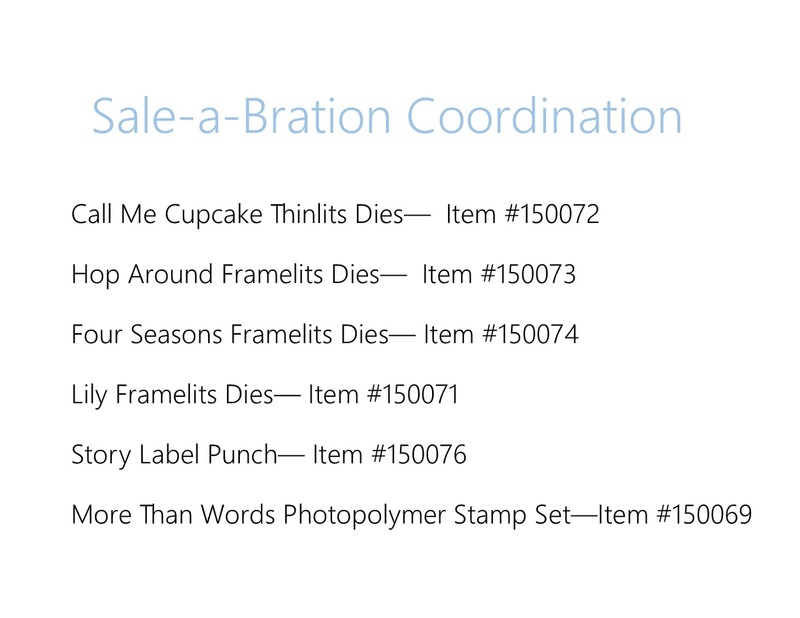 Make sure to have a look below at all our new Sale-a-Bration Coordination products! They will only be available during the month of March so if you see anything you like, make sure you don't hesitate to get your hands on them! 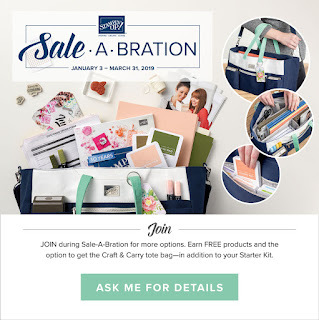 A lot of our Sale-a-Bration items have sold out from the first round so I wouldn't wait if you see something that catches your eye with the new coordinating products! So I cut the black label in half and glued it to the backside of the white label to give it a nice layer. The sentiment is stamped in Momento Tuxedo Black ink and it's from the Forever Lovely Stamp set. I took some Whisper White 5/8" Flax Ribbon and with a glue dot, placed that down in the center of the card panels. I popped the sentiment label up on dimensionals and placed that down directly on top of the flax ribbon. I wanted to create a nice focal point. I took more of that Black/Silver 1/4 Striped Metallic Ribbon to make a nice bow to add to the bottom of the sentiment label. Added in some clear rhinestones to finish it off. 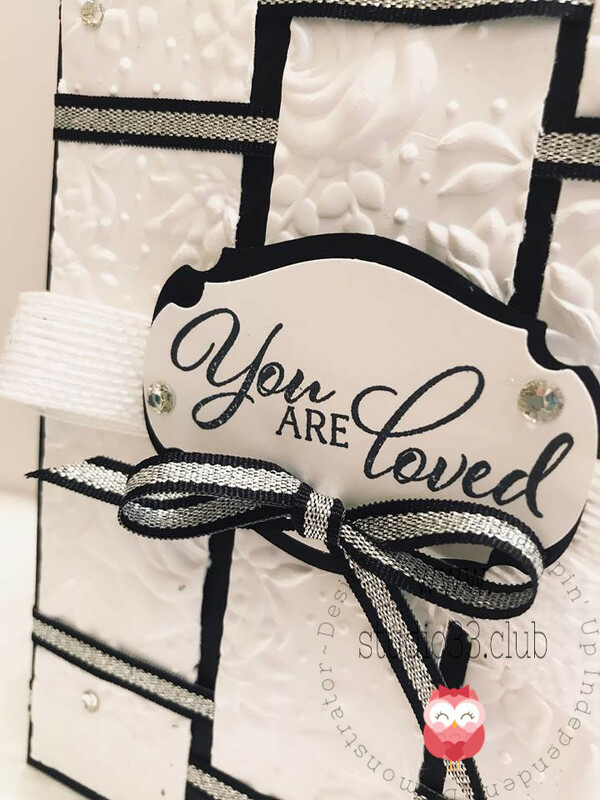 For the inside, I stamped the hearts from the Forever Lovely Stamp set in Gray Granite Ink. What do you think? And as a reminder, Please make sure you are using the HOST CODE when placing your orders under $150. 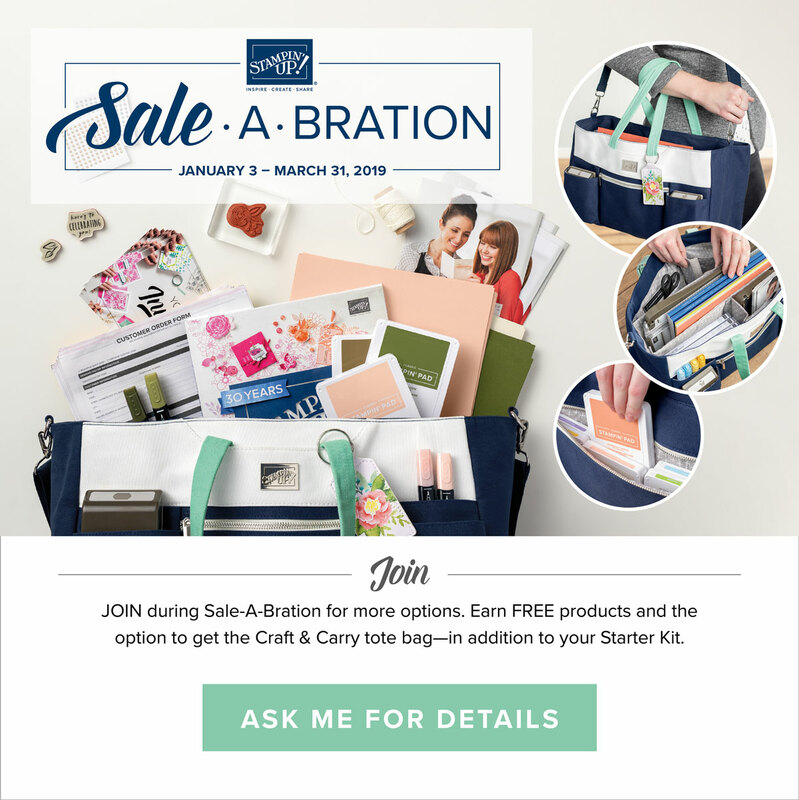 Remember that our second round of Sale-a-Bration has started! 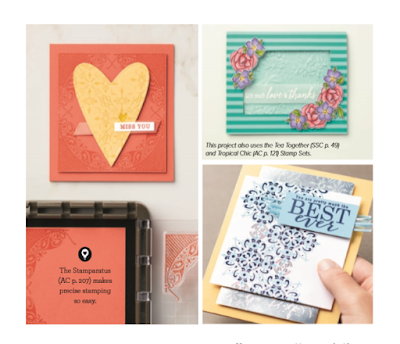 Stampin' Up has released these 3 brand new products that you can choose for FREE with your qualifying purchase of either $50 or $100. HERE ARE THE NEW GORGEOUS PRODUCTS INDIVIDUALLY! These products are available between February 15th- March 31st or while supplies last. 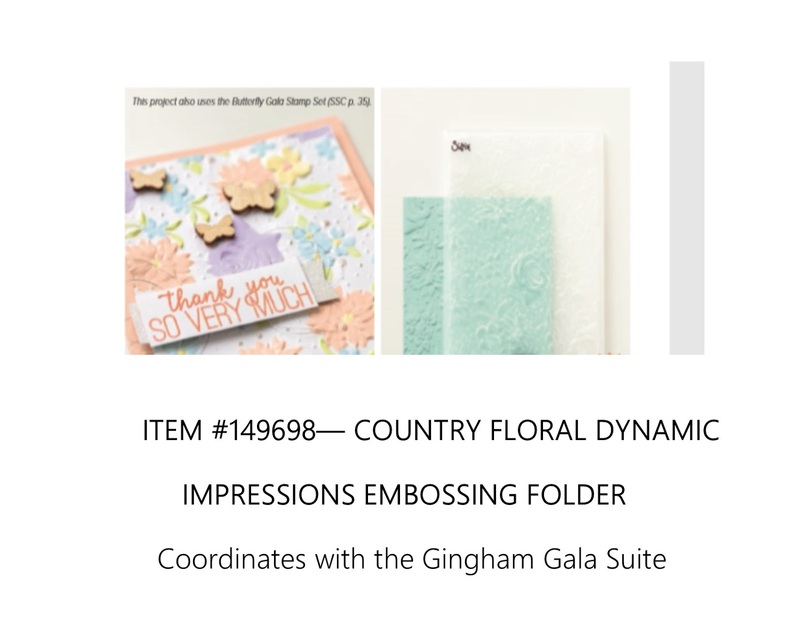 The All Adorned Stamp Set & the Country Floral Dynamic Impressions Embossing folder are Level 1 items which you can get free with a $50 purchase. 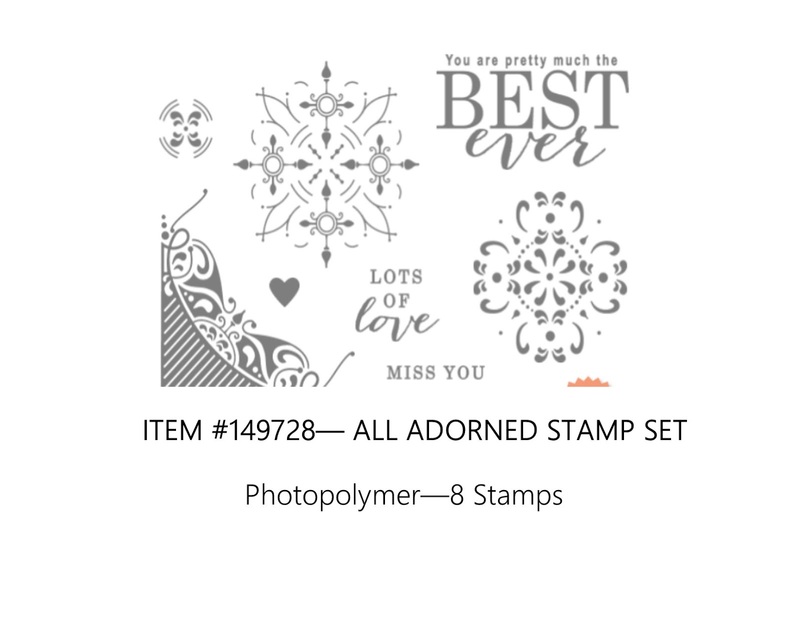 This stamp set in this bundle is a distinkive stamp set which means it has a more texturized, realistic look to it. When you ink it up and stamp with it, you will get more depth and a three dimensional look. 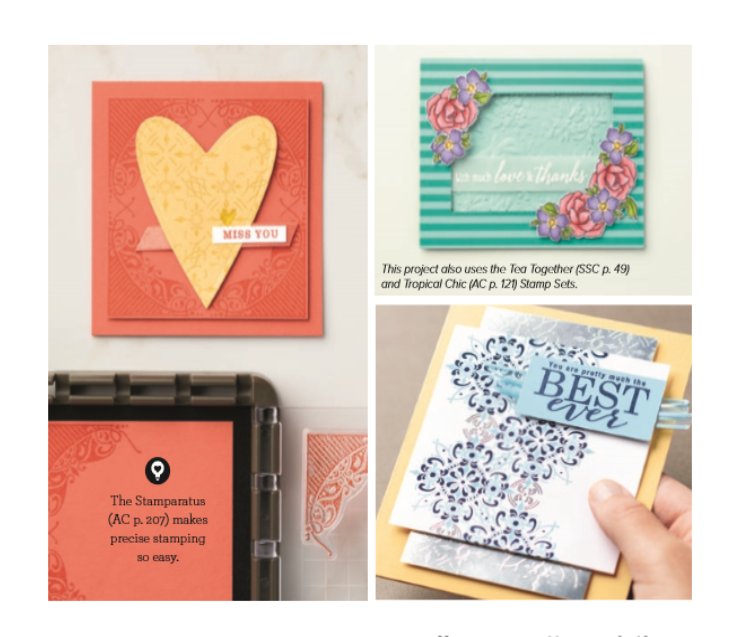 Stampin' Up has also released new Coordinating products that will be available for purchase on March 1st that already coordinate with the first selection of Sale-a-bration items and one brand new stamp set! Have a look! So quick updates on our Sale-a-Bration items. Items #149711- Butterfly Elements, Item #149712-Grapefruit Grove & Lovely Lipstick Foil Sheets & Item #149750- Precious Parcel Card Kit are now all SOLD OUT. Thank you to everyone who got their hands on these items but they are forever gone. It's amazing at how quickly some of these items have gone this year. Lots of favorites by many! 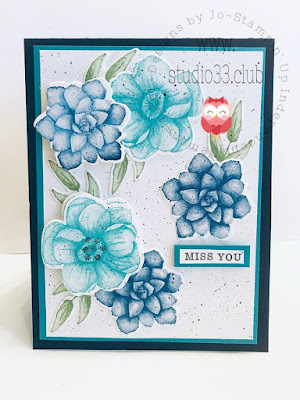 Ok so moving on, I have a card to share with you today using the GORGEOUS Painted Seasons Stamp set. 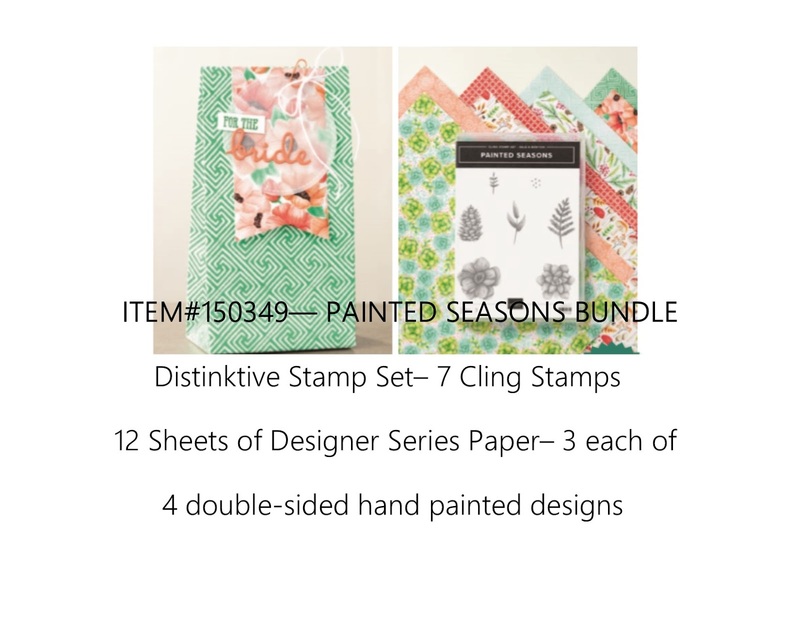 The stamp set is part of a bundle that comes with gorgeous Designer Series Paper. 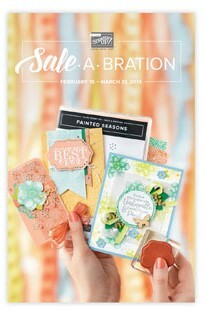 It is a Level 2 Sale-a-Bration Two item that you can earn for FREE with a qualifying purchase of $100. 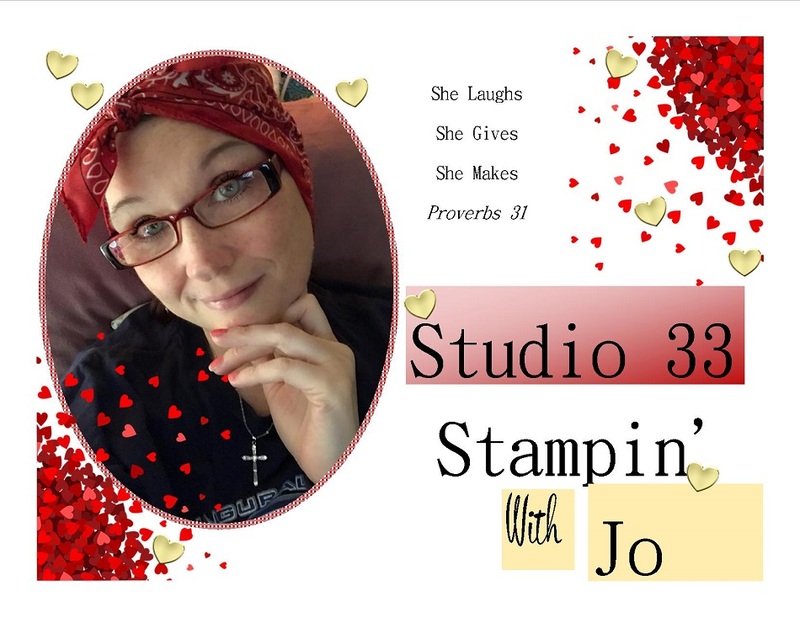 You are going to want this stamp set I tell ya! Just gorgeous!!! The stamp set is a disINKtive set, which means you get realistic and dimensional views when you stamp it. What do you think? I used Pacific Point, Bermuda Bay, Granny Apple Green, Basic Black & Whisper White. 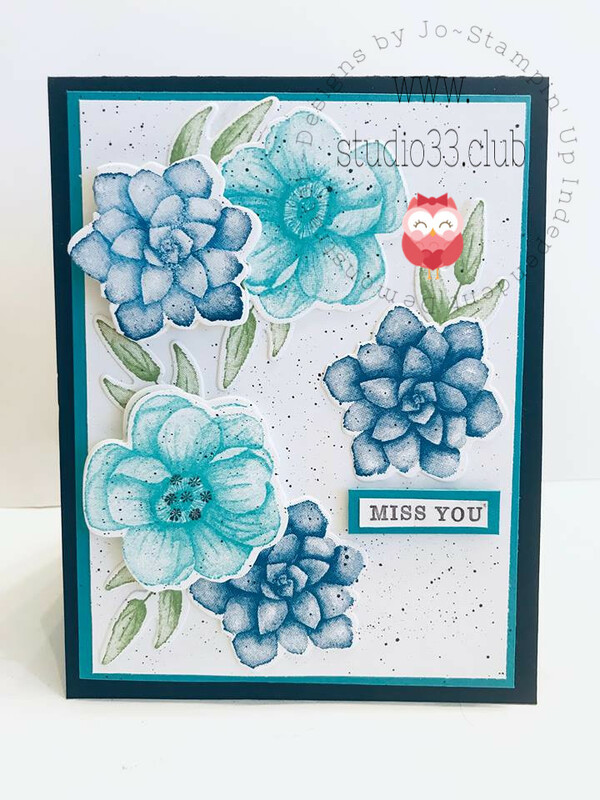 I stamped out the two flowers in both shades of blue several times onto some whisper white card stock as well as several of the leafy stems in the green. I used the Sale-a-Bration Coordination Four Seasons Framelits Dies (which will be available for purchase on March 1st), to cut each of the flowers and stems out and then arranged them onto my front layer. Several of them are popped up with dimensionals. 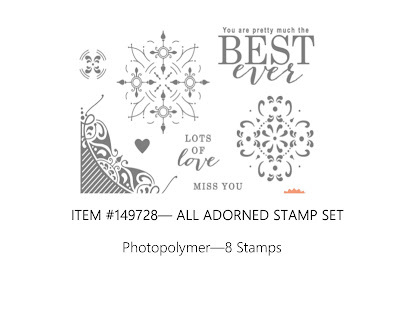 The sentiment comes from the All Adorned Stamp Set, which is another Sale-a-Bration Two freebie. It is a level One item and you can earn it free with a $50 order. I used my Early Espresso Stamp It Write marker to make some splatters on the front of the card. Pretty right?? Here I added a flower and some leafy stems to the inside and stamped the sentiment, "Life is so much better with you in it". 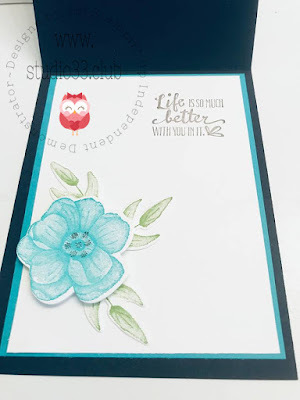 This sentiment comes from the Petal Palette Stamp Set. I hope you have enjoyed my card and that I have helped you to fall in love with this stamp set! If not, just you wait!! I have more coming up using this set!